These pies were eaten as part of the Pierateers #Pieathon Pie Pledge to see who could go the longest eating only pie during British Pie Week! With some pies from Iceland having been Highly Recommended by Pierateer RAS I have been meaning to try them out for a while. 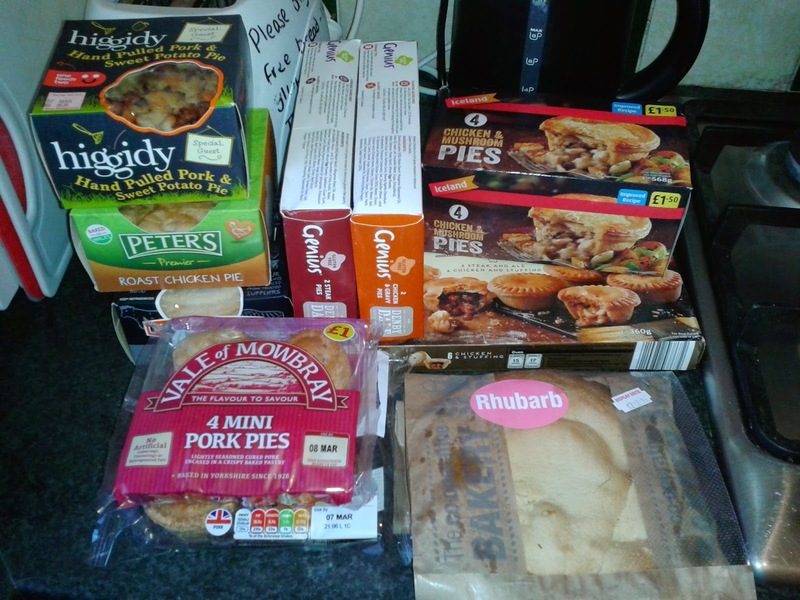 It was good to have some pies in freezer for British Pie Week in case I started to run low on pies whilst attempting the 'Pie-a-thon' Challenge where I had to eat only pie for as long as possible. Whilst Gloucester Iceland didn't have the Chicken and Bacon pie recommended by RAS, the box of 12 Party Pies for £3 seemed intriguing. They were similar to the Morrisons version previously reviewed. This genre of pie is difficult to get right, generally there isn't enough filling. However, these seemed to do a decent job in that respect. They had so much filling that they actually both burst open. They came in both Steak & Ale and Chicken & Stuffing flavours. Both fillings were pretty generic tasting but nice enough and I enjoyed them. The meat came in small pieces so I didn't notice whether they were chewy. Whilst small, the pieces of meat were bigger than the mince in the Morrisons version. The sauce was rich and thick. The pastry was good but a little chewy. 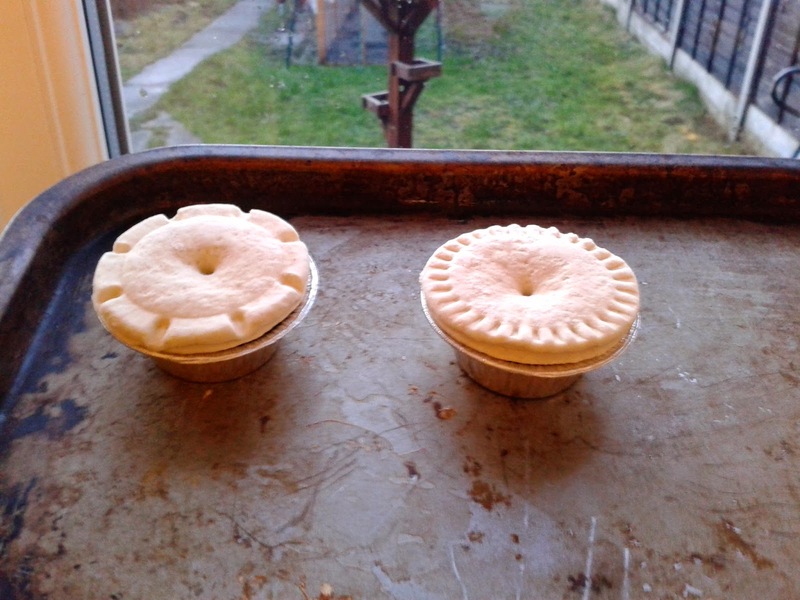 The main downside for both these pies is that they stuck to their foil cases, so the only way to get a cross-section was to take off the lids! Certainly not what you want to happen if you are serving these at a party. A shame as they performed well otherwise. Neither of the fillings stood out so I have scored them both the same. 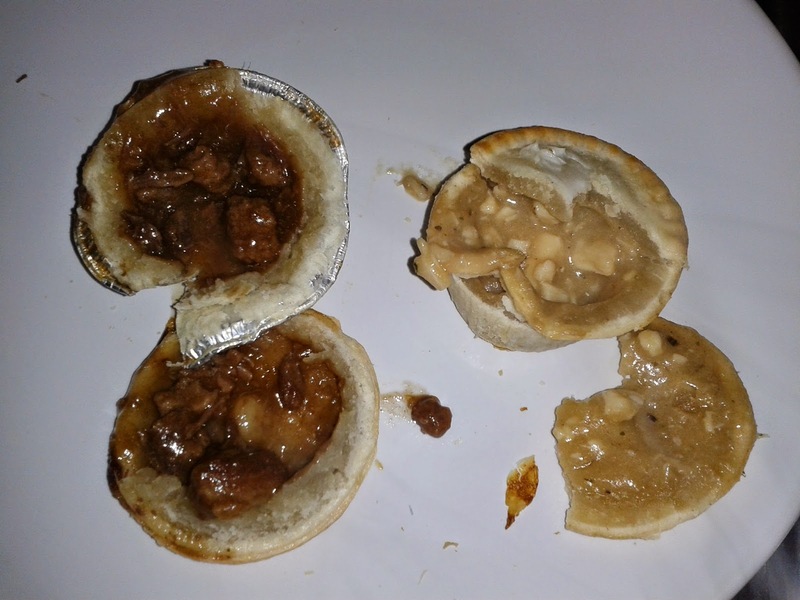 Cheapness - 3.0 out of 7 - £3 for 12 works out at 25p a pie which I thought was expensive for such small pies. A couple of bites and they are gone. Offers are available if you buy more than one pack. They are cheaper than the Morrisons version though! 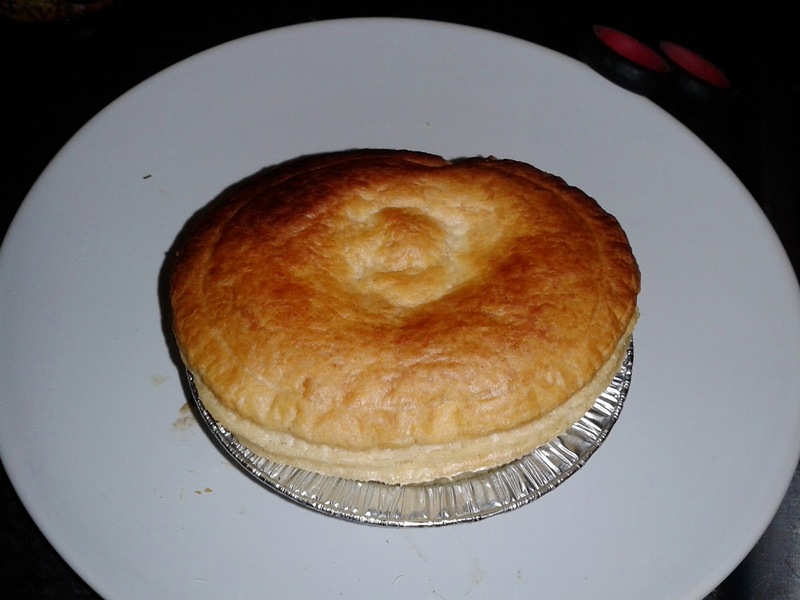 Capacity - 4.8 out of 7 - Good capacity for such a small pie and well filled. Content - 4.0 out of 7 - Nice enough. Consistency - 3.5 out of 7 - Let down ultimately because they need scooping out of the foil! Whilst I was in Iceland I also wanted to try one of their regular sized pies to see how they fared against the bigger supermarkets versions. I have nothing against frozen pies, in fact I have had some pretty good ones. Pastry can cook quite nicely from frozen. There was a slightly disappointing selection of pies in my local Iceland, one Steak & Ale or Chicken & Mushroom in the individual pie size. I picked up a box of 4 Chicken & Mushroom for £1.50. Condition - 4.8 out of 7 - Whilst not doing anything special, the puff pastry lid rose nicely and I thought that it looked well proportioned. Colour - 4.5 out of 7 - Pretty good brown colour. Capacity - 2.5 out of 7 - Disaster, there was a large capacity but there was little content to speak of. 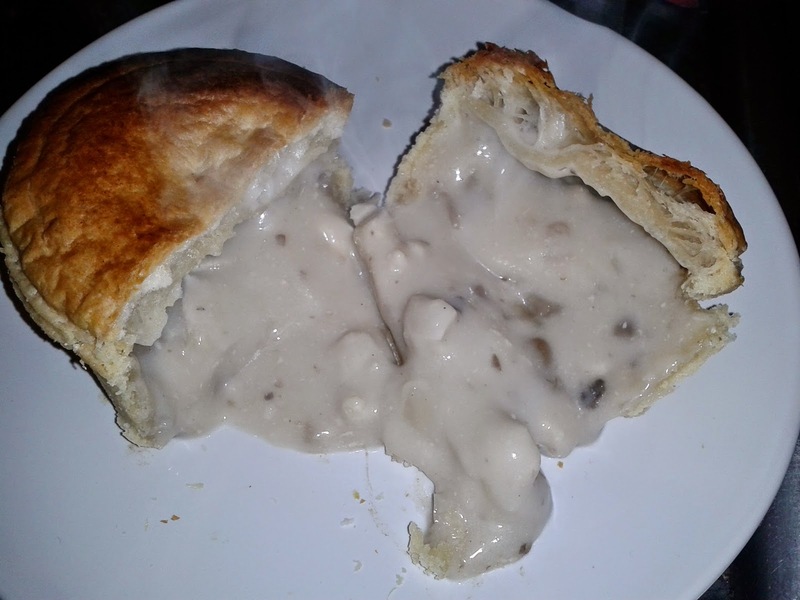 The pie was filled with what I would describe as Chicken & Mushroom soup. Once this had flooded out onto the plate, it seemed pretty much empty. Chewiness - 2.6 out of 7 - As you can imagine, with a soup-like filling there was little to get my teeth into. That said the pastry lid had a nice crunch. The shortcrust base and sides had a biscuity texture. Content - 2.9 out of 7 - Bland, bland, bland and boring. Whilst not tasting bad, the filling didn't taste of much. A shame when the pastry tasted good! There were a few small chicken chunks. Whilst suspiciously cuboid in shape, they tasted okay. Overall, these weren't exactly Iced Gems although the mini pies might come in handy during the British Pie Week challenge of only eating pie. A bit of a disappointment but with so many other pies to enjoy this British Pie Week the disappointment won't last long.